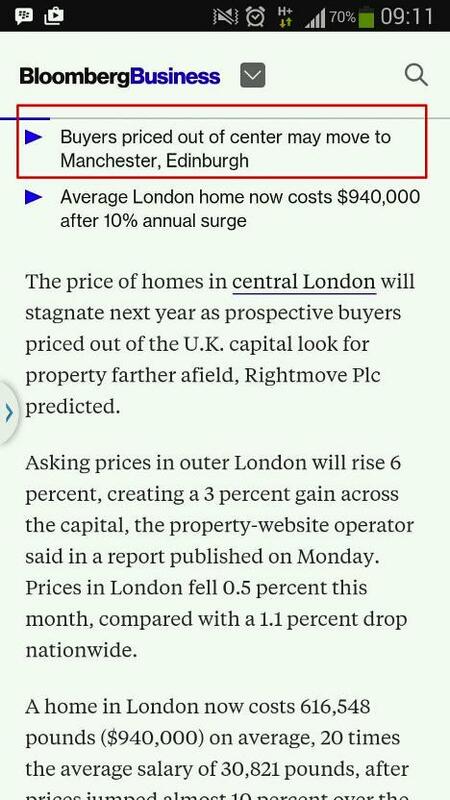 Very Affordable Pricing Only From £15xK With 20% Upfront Payment Only To Invest In The 2nd Largest City in UK Offering Unbelievably High Capital Return And Rental Yield. Manchester property price growth is accelerating as fast as London property and according to HSBC annual research of rental yield around Britain, Manchester is the top place for buy to let investment right now due to the modest property price and strong rental demand. Rental yield in Manchester is at 7.98% per annum reported by HSBC. Oxygen Tower - The Best And Most Luxurious Condominium In Manchester City Centre Near High Speed Rail 2 Station. Oxygen Tower is an iconic 31 storey apartment tower and a historic point for a world-class city. Including 343 luxurious apartment, 8 townhouses, relaxation and luxury offices and sky gardens, Oxygen Tower will be a inspiration on Manchester's horizon. Situated in fantastic location and within proximity to Manchester Piccadilly Station, The Northern Quarter, and the main commercial centre in the city. Oxygen Tower is developed by experience developer, Property Alliance Group which has reputation of excellent quality finishing and design. Currently Oxygen Tower @ Manchester is the tallest residential tower which will define the future of Manchester city skyline. Oxygen Tower is an exclusive property development in the city of Manchester which has a full condominium facilities including gym, indoor heated pool, indoor Jacuzzi, Event/Cinema/Function room, Launderette, bike store, retail commercial unit, and 24 hour concierge service. High end fittings will be included in Oxygen Tower apartment units including cooker hob and hood, fridge and freezer, dishwasher, washing machine and dryer, lights and radiator heater. Quality brands including Bosch, Smeg, Miele, LG, Panasonic, Samsung, Villeroy, Boch, Grohe, and Siemens. Oxygen Tower @ Manchester is perfectly located in Ancoats Street with the proximity to Piccadilly train and tram station, future High Speed Rail 2, and many other great places such as the CBD (St Peter Square, Spinningfields), Arndale shopping centre (Europe 3rd largest shopping mall), Piccadilly Garden, Hilton Hotel, and many more. Oxygen Tower is a rare apartment in Manchester UK which provide top class facilities to the residents which will attract a lot of tenants if you are buying for investment. The facilities in Oxygen Tower includes gym, indoor heated pool, Jacuzzi, Cinema/Function room, and 2 sky park. Yet, the maintenance fee in this unit is very low. Property Alliance Group (Alliance) is a leading property developer, investor and asset manager. The group entirely owns £190 million portfolio comprising of industrial, office, retail and leisure property throughout UK. 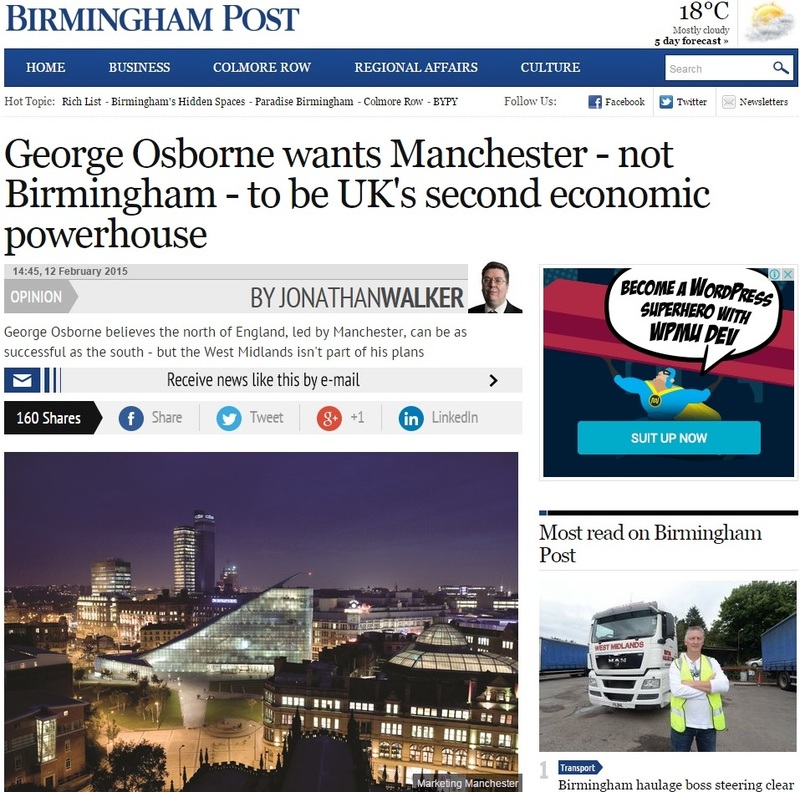 Manchester is now recognised as the prime investment hotspot in the UK. The investment property market in Manchester is booming at present and it will continue to be the top buy to let hotspot in UK. The city population is growing with more and more individuals coming into the city to take jobs in its fast-paced business market or to study at its world-class universities. Manchester has a great reputation for top quality higher education and has an extremely high student population rate. Most of them stick around shortly after graduating. Again, these people are going to need place to live. Demand for rental property in Manchester is at an all time high, not only from tenants but investors looking to purchase in the city. 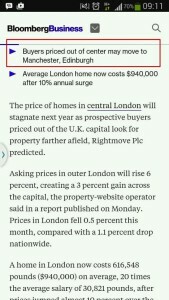 Rental property is being snapped up faster than it can be provided. According to the Manchester Evening News, in March 2014 there were only 39 new-build apartments available to purchase and one new development. There is a chronic housing shortage in Manchester, with fewer than 4,000 new homes a year being built at present. This is short of the 10,000 new homes needed every year to keep up with the growing population. The severe undersupply of property and affordability to first-time buyers has created a fabulous opportunity in Greater Manchester for property investment. Rent throughout the city are at an all time high, giving investors extremely healthy yields and great potential for capital growth. According to the new research conducted by the HSBC, rental yield in Manchester reach 7.98%. First Street: It is stretching out over 20 acres of city centre, First Street will become Manchester's most exciting new neighbourhood with interesting mixture of culture, leisure, retail, and office space. Spinningfields: It is a business, retail, and residential development in Manchester which consist of 420,000 square meters of commercial, residential and retail space located in Manchester city centre. One St Peter's Square: It is 268,000 square feet of Grade A office space in Manchester City Centre. The professional firm KPMG took 73,500 square feet of office space in this iconic building . 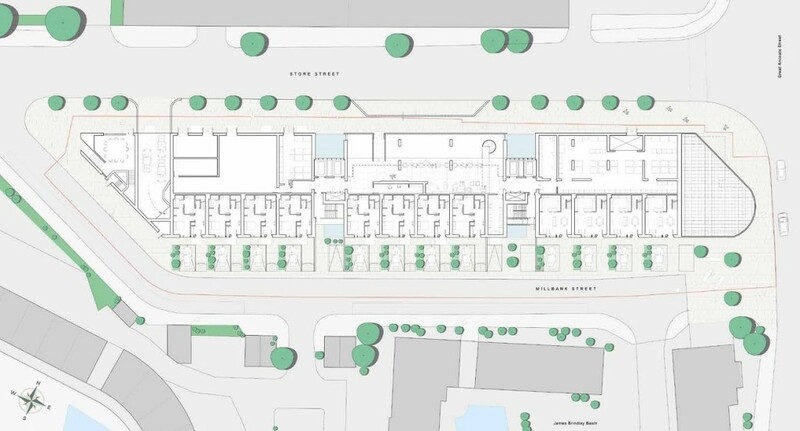 Noma: The £800 million investment will create 20 acre mixed used redevelopment consist of 4 million square feet of office, residential, retail, leisure, and hotel space. Media City: BBC and ITV Granada has moved to this 200 acre mixed use property development. High Speed Rail 2: The game changer of UK transportation network. When completed, high speed rail 2 will connect London to Leeds and Manchester Piccadilly station. 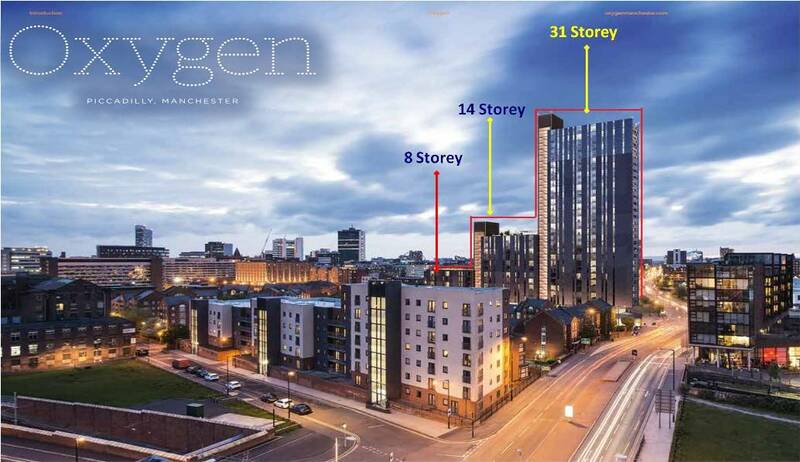 Oxygen Tower is located just within 7 minutes to Manchester Piccadilly station will benefit from it and owner of the apartment unit will receive high capital growth and rental yield. Manchester Airport City: Currently, Manchester airport is the third busiest airport in UK after Heathrow and Gatwick and it flies to more than 200 destinations in the world. 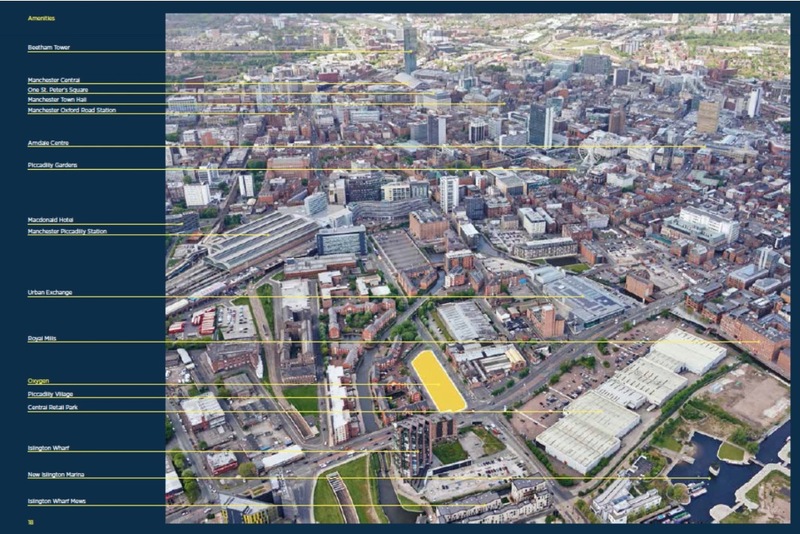 Manchester airport city is £800 million investment by Beijing Construction Engineering Group which aim to stimulate Greater Manchester economy by creating on-site logistics, manufacturing, office, and leisure activities. In June 2014, UK Chancellor, George Osborne has announced plan to turn Manchester into the Northern Powerhouse to support London economy. Manchester has a world class and multi integrated transport infrastructure. Travelling around the city is very easy with the integrated transport system. including free bus ride around the city, tram, train, and world class international airport flying into more than 200 destination. In term of ranking, Manchester is ranked the first for best UK city to live in 2013 by "The Economist". KPMG also ranked Manchester as the Europe most affordable city. Posted in Manchester, UK and tagged manchester property, Oxygen Tower, Property In Manchester, property in UK, UK property.